Urban Sketchers Seattle: Charles driving us to Joshua Tree. Charles driving us to Joshua Tree. This was drawn from the back seat. The woogly lines (check out Charles' visor) are from the bumpy ride. 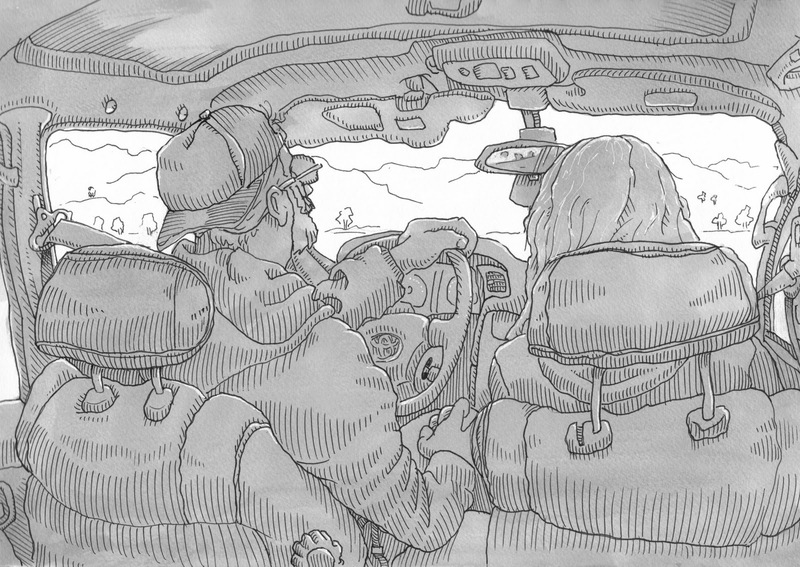 It's not easy drawing with pen in a speeding car, especially when Charles is driving- holy moly! wow, really great! if you call these lines woogly at all, just think of it as a live-action video for all of us. Love this one Steve. I'm checking my seatbelt!